That's right, three! You may remember that I found a World War I memorial on the Middle School and another at Veterans Memorial Park. On Sunday, we stumbled on another at the Municipal Building! This plaque (on the stone at the base of the tree) was erected in 1920 at what was then South Side High School, so named because it was the first high school on the South Shore of Long Island, outside of Brooklyn and Queens, when it opened in 1892. South Side High School. It was red brick then. The plaque says that it was erected by the "Comrades" of the fallen the day before Memorial Day in 1920. This honor roll contains 19 names and the dates from 1917 - 1919. Just about the time this memorial was erected, the high school was becoming overcrowded and plans were underway by 1921 for a new High School two blocks north and one east of the first building. A history of the Rockville Centre schools , written by a former Superintendent of Schools in the district, says that the idea of memorializing those from the village who had died in World War I was conceived almost as soon as the building was proposed. He does not say who may have proposed it, I would love to find out if I can. That building, by the way, is now the Middle School that I wrote about here. Here again are the plaques on the Middle School. There are 19 names on the original plaque, but only 11 here. Although the West Plaque says this is a memorial to those who "served with the Armed Forces", I don't believe that accounts for the discrepancy. There is at least one name on all three of the honor rolls of someone who appears to have been killed in Germany while working for the YMCA. The East Plaque says "in the World War 1917-1918". Could it be that the other 8 young men died after Armistice Day but before they were discharged? Are the dates my clue? The only other obvious difference is that the first plaque divides the names into three columns; Killed in Action, Died in France and Died in U.S. but there are names from each of the three columns on the Middle School plaque, so that doesn't seem to my answer. 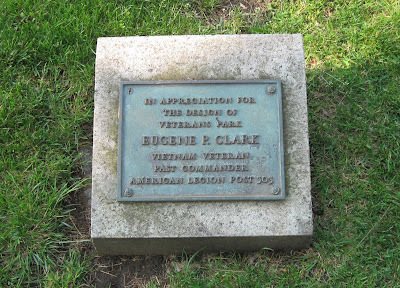 Here is the plaque again from Veterans Memorial Park, the one I blogged about a few days ago that holds memorials for both World Wars, Vietnam and Korea. This more closely resembles the first plaque; the names, dates and columns are the same. I'll have to do some more digging on this as well, but it seems Veterans Memorial Park was created sometime after the Vietnam War as the plaque below would suggest. The oldest plaques here seem to be on the World War II monument so my guess is that was here first, but that is yet to be confirmed. I'm hoping that I can get some good information over at the American Legion. The history of Post 303 is actually tied to that of the Middle School. When the school building was still in the design stages, the Board of Education suggested that the Legion make their new home there. A room was designed for them and the Veterans of Foreign Wars post which they occupied for several years until eventually moving into their own buildings. The Memorial Room was located on the third floor, directly over the entrance, according to Floyd B. Watson . In addition to the plaques, Floyd B. Watson's book tells us that there were 14 poplars (another number) planted on Hillside Avenue in front of the school by the American Legion, each bearing the name of one of the fallen on an attached plaque. When he was writing the book in the mid-50s, the trees were still decorated every Memorial Day . Today they are gone. One last thing I learned about the school is that it was nearly renamed Memorial High School. In fact, when a ceremony was held for the laying of the cornerstone, a banner on stage used that name . 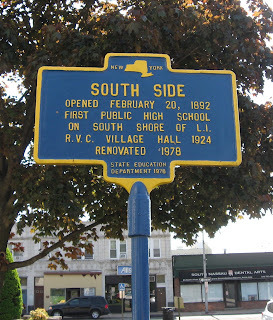 History won the day, however, and South Side High School retained its name. When the student body outgrew this second building and it became the Middle School and that was also a first for Long Island. I plan to look for information at the American Legion, The Museum of Rockville Centre, the Long Island Studies Institute and whatever local newspaper archives I can get access to. In the meantime, though, I need to get back to my own family research! Watson, Floyd B., History of Rockville Centre Public Schools and Some Early History of Rockville Centre, 1957, 81. 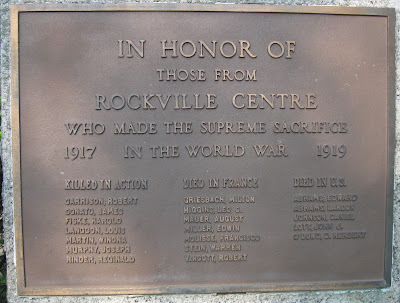 Watson, History of Rockville Centre Public Schools and Some Early History of Rockville Centre, 82. 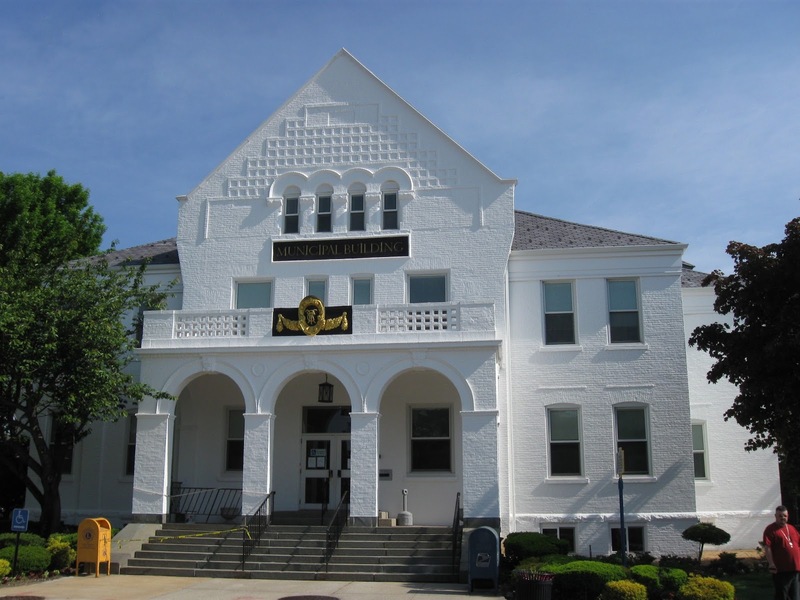 Watson, History of Rockville Centre Public Schools and Some Early History of Rockville Centre, 83. I didn't realize the American Legion had any sources, in fact I guess I don't know much about them at all. 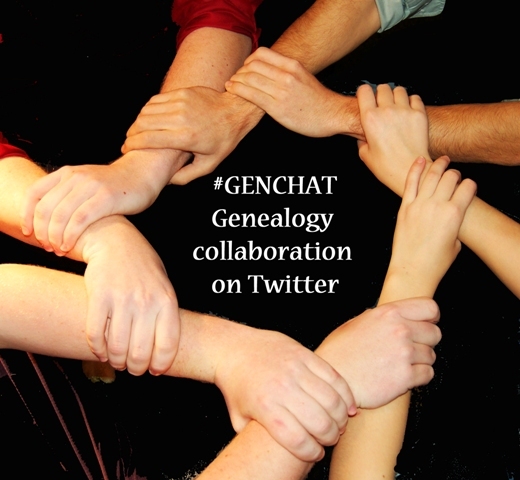 Genealogical research takes us in so many different directions ! Mystery Monday - Oh, those BSOs!